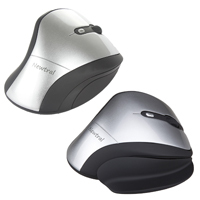 The Newtral Mouse from Microtouch is designed to provide right-handed users with a comfortable mouse which reduces wrist and forearm pronation and the need to grip the mouse. The raised thumbrest and outward angle of the mouse position the hand at a 33° outward angle, thereby reducing the inward rotation of the forearm. The body of the mouse is designed to fill and support the palm, encouraging users to 'rest' their hand on the mouse rather than trying to 'hold on' and 'control' it. 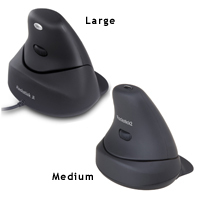 Since not all hands are the same size the Newtral Mouse is available in two sizes, enabling users to select the size which best suits their hand size. 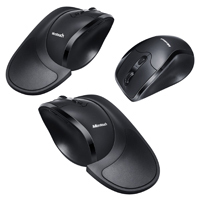 A convenient detachable ledge raises the little finger and outer edge of palm off of the mousing surface, reducing potentially irritating surface friction and the adjustable DPI features four easily selected settings for every kind of work. 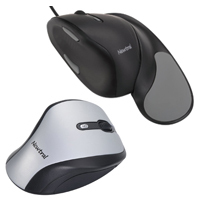 Use this convenientSizing Guide to assist in choosing the appropriate size of Newtral2 Mouse.